THE ULTIMATE EXPRESSION OF SEMIDRY SUITS WITH THE Z-THERM, UNASSISTED DONNING AND DOFFING OF THE SUIT IS NOW A SIMPLE PROCESS! The brand-new G-lock zip features an innovative design, starting behind the shoulder and sloping diagonally across the torso in a gentle curve. This zipper orientation makes it fast and easy to suit up without the need for added assistance. Due to the flexibility and special shape, this design also delivers a better fit. 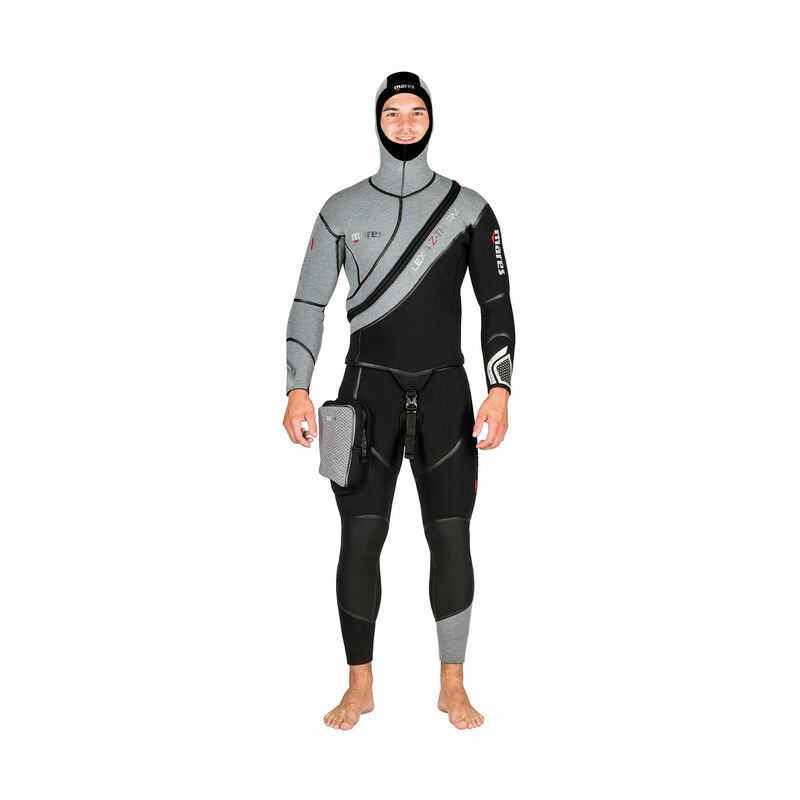 Additionally, an internal flap protects the diver's skin while improving heat retention. Improved thermal protection is offered in the most critical areas. 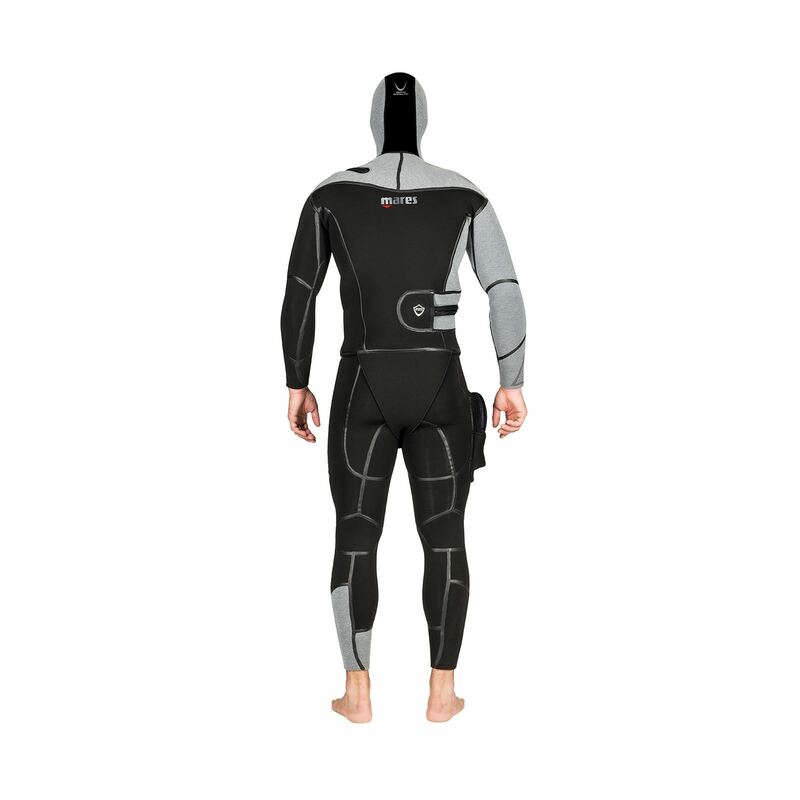 The flexible sections located along the spine have increased neoprene thickness where it is needed the most, resulting in better thermal protection. 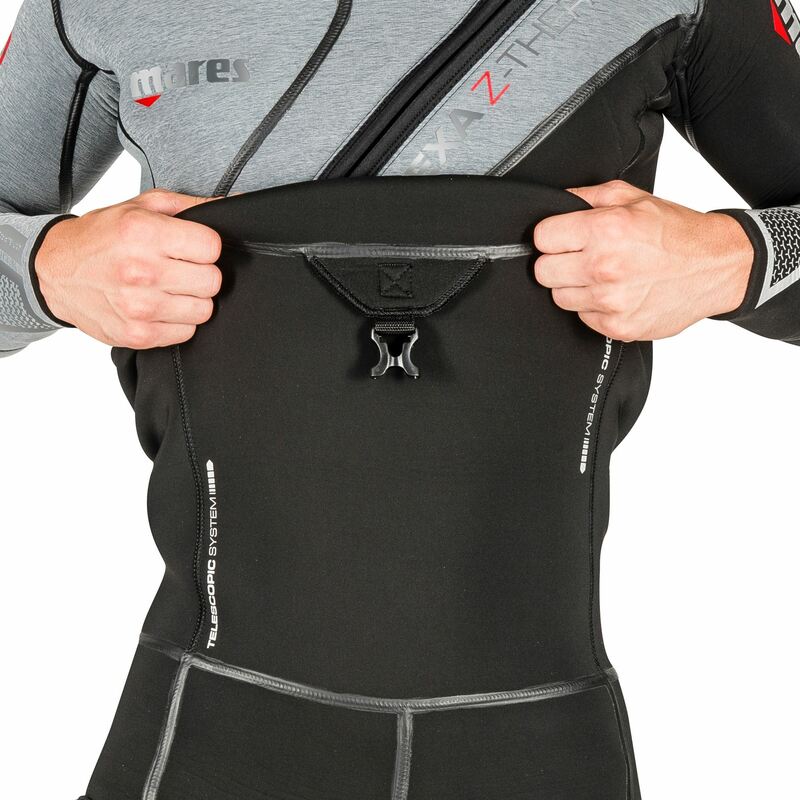 Neoprene thickness is also increased in the area where a weight-belt is worn for increased comfort. A “She Dives” version has been developed in a pattern designed specifically for women's bodies. Every panel on the suit has a dedicated shape. The zipper locations are designed on a "central" path to deliver ultimate comfort.